At the TDSB, we are committed to balancing our budget and ensuring Board funds are managed responsibly and effectively. Every decision we make and every dollar we spend has a student face behind it. We must put learning resources and tools directly in the hands of our students and see that every dollar we spend is an investment towards improved student outcomes. providing quarterly financial reports showing actual expenditures compared to budget plans. Of significant note, our Facilities Services department has undergone a major transformation after reviewing a number of its processes to improve efficiency, accountability and cost. Key actions include improving service and access to facilities-related information through a new Facilities website, conducting regular performance reviews of management and improved project management. To remain open and transparent, we launched an accountability website where the public are invited to read about all of the changes we’ve made and are planning to make to improve operations at the TDSB. This includes more about the recent facility services changes we’ve implemented, the changes we’ve made as a result of recommendations from various reviews and audits, and the new financial management tools that are helping all departments within the TDSB stay on budget. 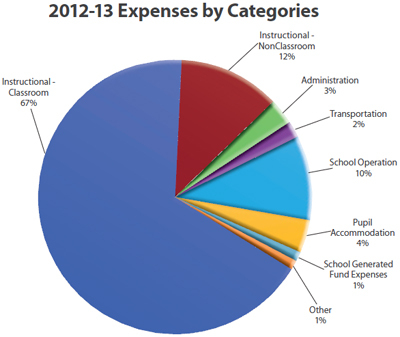 We continue to update this site to demonstrate our ongoing fiscal accountability.